We are at Mozgasvilag.hu not only love what we do but also live it. Everybody at the editorial lives an active life. From rafting to hiking, climbing to running, biking to skiing we are at home in all sports. Our enthusiasm does not stop here, we also pass it on to our readers. We sit on them, turn them on, wear, press, drink, eat them and sweat in the test products. Then we share our experiences. For whom, for what and why. Should you need inspiration: 200+ Bike, hike and running routes from Central-Europe with downloadable gps tracks, pictures and personal testimonials. Biketouring. The best active holiday you can have. Don't get lost with our 2 and 3D online maps on Hungary's biggest lakes. Extra: detailed commuter bike map of Budapest. Daily updated snow reports, details of 200+ ski regions. Which ski paradise is the best for families? Snowboard? Freeride? Beginner? We have the answer for you. Check out our ski region top list or make your decison based on the community's ranking. Are you looking for a new challenge? Check out our detailed event calendar! Inspiration. Motivation. Listen to the biggest, best, fastest athletes of all-time! Lynn Hill, Anna Fenninger, Ron Hill, Alex Honnold to name a few. How to be a better skier, runner, biker? Wanna reach your goals? Follow our training programs that was written for you by the most known athletes and coaches. Hungary's one and only bike and run Test Day is organized at the end of each September. 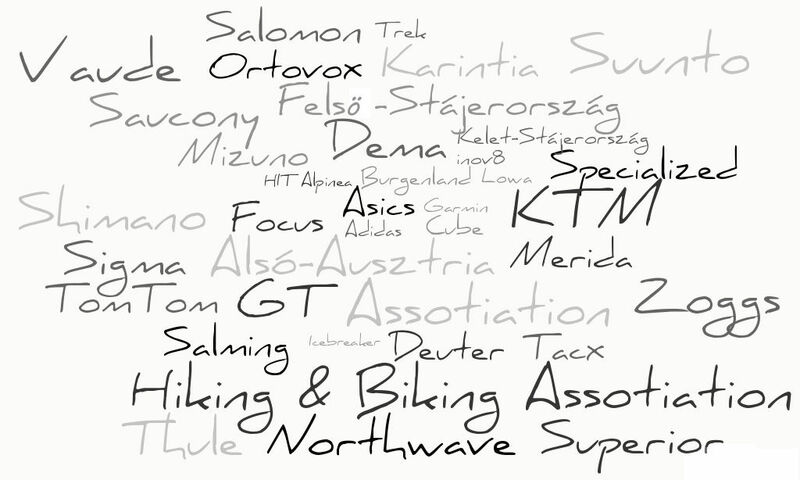 This fall over 50 international brand has offered 200+ bikes, plenty of running shoes, watches, and other accessories for test. Besides the most important and popular brands we have been working with many tourism offices and regions. Based on Google Analytics we have reached the 170.000+ monthly visits. Our weekly newsletter reaches 70.000 e-mail subscribers. Our Facebook community has over 49.000+ fans and it keeps growing. Over 80.000 visitors surfing our bike maps in each season. Have we made you interested? We are pleased to help you to reach your marketing goals.